Doug and Mary Rielly Welcome you to the Nith River Campground. The hidden jewel of Southern Ontario! It sits on the banks of the Nith River, only 15 minutes from Waterloo and just north of the town of New Hamburg. 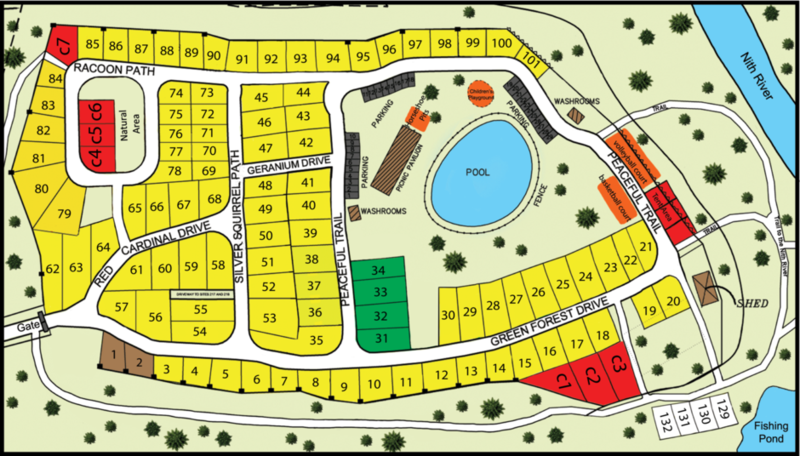 There are 60 acres of open spaces, woodlands, and campsites along with one of the largest swimming pools in the area. Depending upon whether you prefer the sun or the shade, you can have your choice of a shady, treed site or an open sunny site. In addition, there is a large picnic pavilion available for family reunions, company picnics, weddings and church groups. We also have a catch and release fishing pond with some of the biggest bass, carp, perch and assorted other fish you can ever hope to hook. Our season is from May 1st until the Saturday after Thanksgiving. PLEASE REMEMBER, WE DO NOT PROVIDE LINENS OR TOWELS. YOU MUST BRING YOUR OWN. Don't want to rough it in a tent? 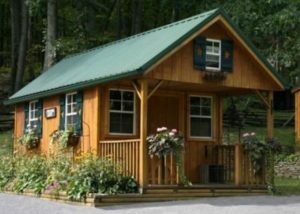 Then try one of our new cabins. All pine, timber frame construction with a double bed,two bunk beds and a covered porch. Each cabin has a small refrigerator and a barbecue for cooking. Much more comfortable and drier in a rain storm than sleeping in a tent! Our two rental cottages are both 1 bedroom with full 4 piece washrooms, fully equipped kitchens and are tastefully furnished and decorated throughout. Each has a deck, fire pit and barbecue. Sorry! no pets or smoking are allowed in the cottages. SORRY BUT CABINS AND COTTAGES ARE NON-SMOKING AND NO DOGS ARE ALLOWED!